Letters, numbers, colors, shapes, and sorting are all a part of Toddler 2 learning. Our Toddlers are improving their vocabulary exponentially while building their self-help skills. We encourage them to make their own decisions and explain the needs of our classroom community as well. 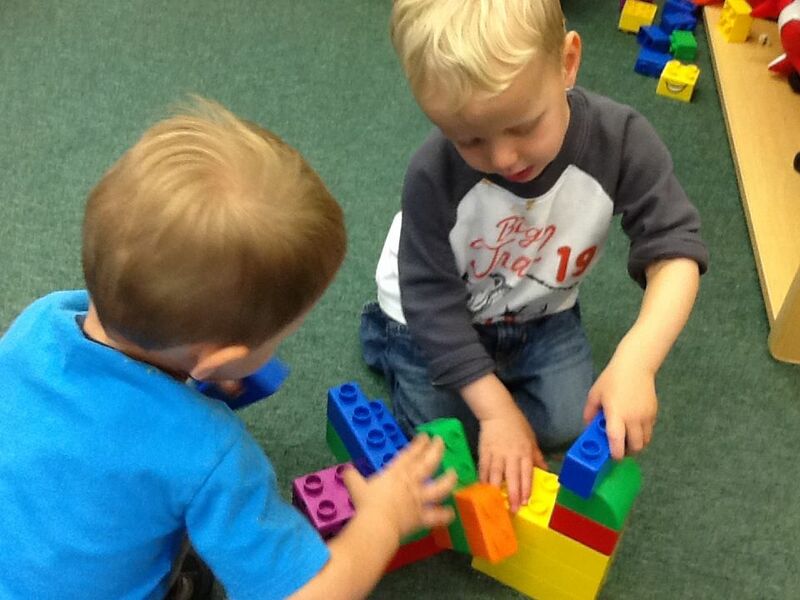 Puzzles, legos, balance beam and bikes are used to improve their small and gross motor skills. We have fun learning all day! Find out more about Ms. Loretta, Ms. Gina and Ms. Laurie Our Toddler 2 Teachers.